At times it is good to have an easy breakfast at hand. 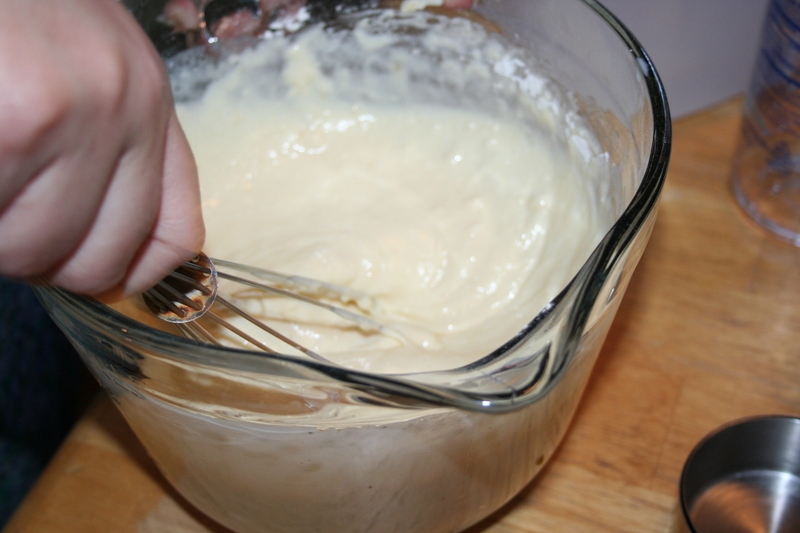 For those times, it is good to have this pancake batter mixed up and in the refrigerator. 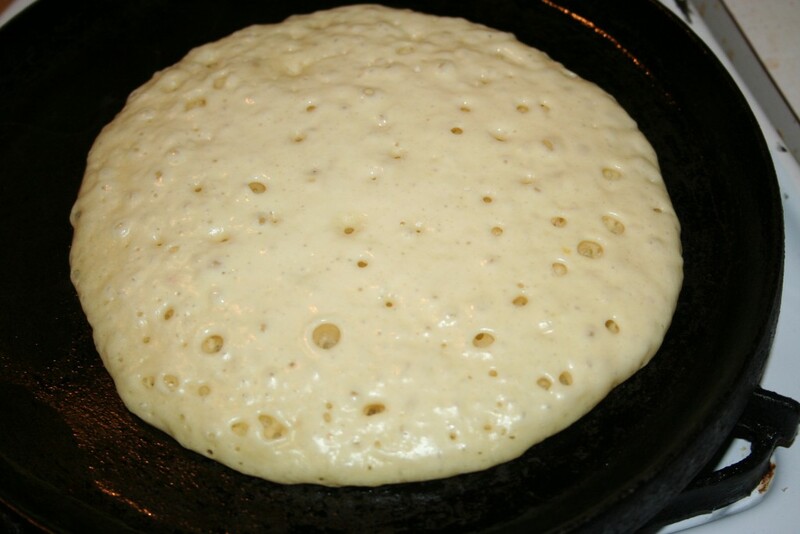 Below is what was left after two large sized pancakes this morning. I put a lid on it and put it in the refrigerator until needed again in the next few days. If I make this for six adults, I double the recipe and have enough to feed all with leftover batter for another day. When the kids were teens, I’d make a triple batch, fix enough for the current meal (breakfast or dinner) and then refrigerate the rest for easy breakfasts throughout the rest of the week. 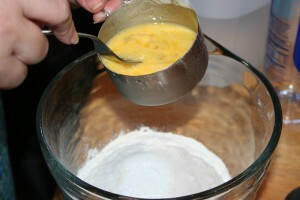 If the batter is too thick, simply add a bit of water or milk and stir until it is pourable. It is super simple. Combine dry ingredients: 2 cups flour, 2 Tbsp sugar, 2tsp baking powder, 1/2 tsp baking soda, and 1/2 tsp salt. Then add two slightly beaten eggs, 2 cups milk, and 1/4 cup oil. 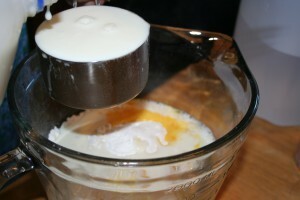 Then either refrigerate until ready to use or pour some onto a preheated griddle or skillet. When bubbles begin to pop on top, it is ready to flip. 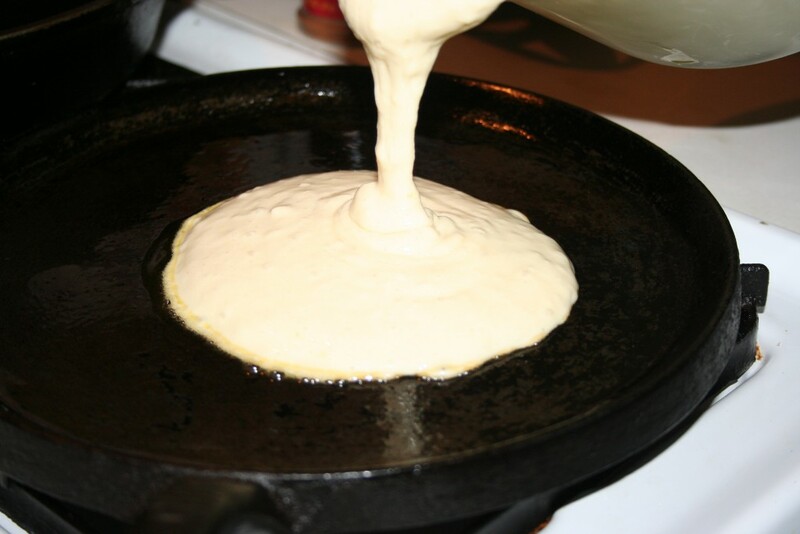 Be careful not to have the heat too high or you’ll burn the pancake. When golden, serve. 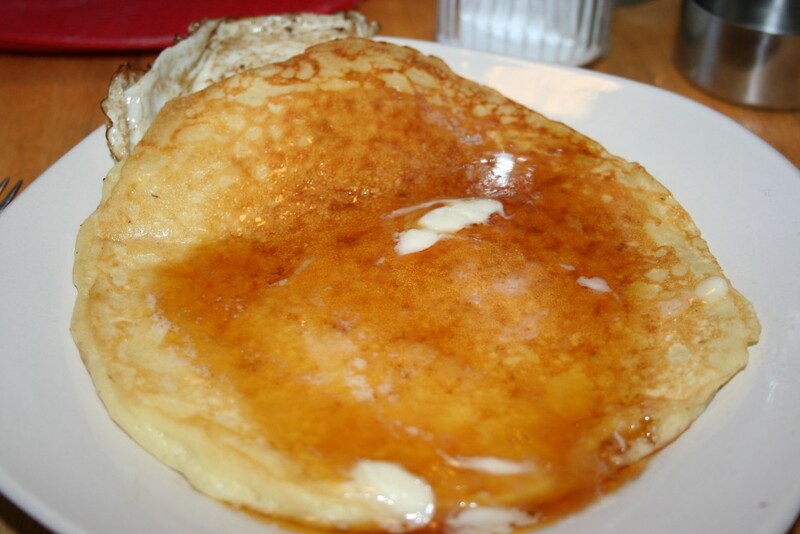 I like butter and syrup on my pancakes and a fried egg. WE use REAL maple syrup. 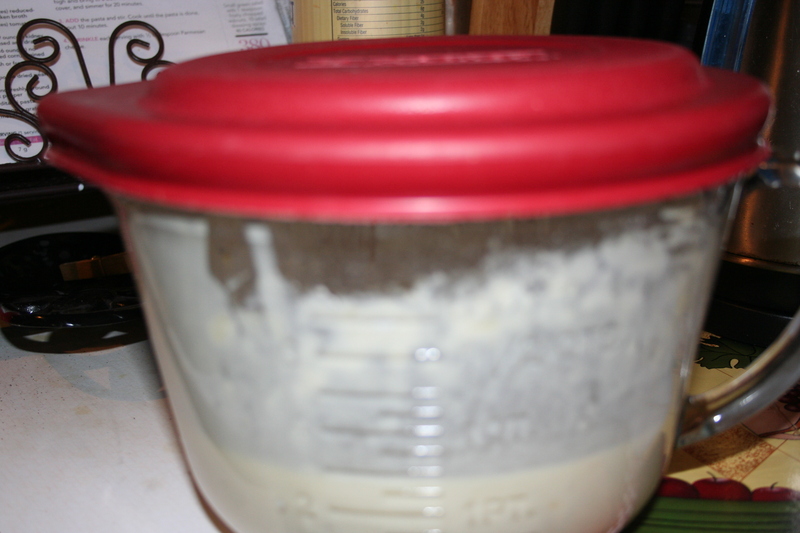 Now we have some batter in the refrigerator for a quick easy meal later this week. I hope these make your mornings easier.